The last time the Monon Bell game was played at Wabash, DePauw broke a seven year long losing streak in the rivalry and took the bell back to Greencastle. The game was one of the most exciting football games that I have seen during my four years at DePauw, and I expect this meeting to be no different. This time around, the 4-5 DePauw Tigers enter the game as an underdog to the 8-1 Wabash Little Giants. DePauw is coming off of a 38-6 drubbing on Kenyon University, while Wabash rides into the Bell game on a four game winning streak that has shot them up to #22 in the most recent AFCA coaches poll. For DePauw to upset the Little Giants, they need to stop Wabash’s running attack, lead by junior Isaac Avant. Avant, the NCAC’s second leading rusher, is Wabash’s greatest weapon on offense and will look to have a big day in his third appearance in the Monon Bell. However, Avant will face a DePauw-run defense that has yielded a mere 49 yards per game this season, the lowest in the NCAC. Taking Avant out of the game will force Wabash to throw, which has been one of their weaknesses this season. On offense, DePauw will need a big day from sophomore quarterback Chase Andries, a dual threat who has recently earned the bulk of DePauw’s snaps at the quarterback position. Andries comes off of a three touchdown performance in last week’s match-up against Kenyon, and will look to build off of his breakout game. Andries is surrounded by talent on offense as well, most notably senior wide receiver Andy Hunt, who caught the game winning touchdown during the Monon game two years ago. For DePauw to pull off the upset, Andries needs to establish his connection with Hunt early in the game, and get DePauw’s offense moving. 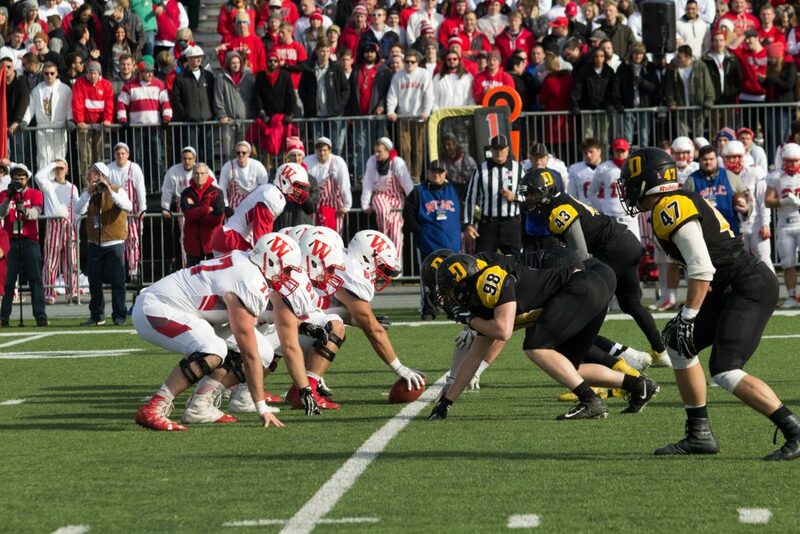 On defense, DePauw needs to control Wabash’s running attack, and force Wabash to throw, allowing DePauw’s turnover inducing defense to force mistakes. I believe that DePauw head coach Bill Lynch will be able to fire up his team to play to their fullest potential, and ruin Wabash’s opportunity to play postseason football. This game will be a very close, low scoring battle between two great defenses, but the senior leadership of DePauw will be the difference in this match-up. Get up Tigers. It’s Bell Week. Score Prediction: 17-13. DePauw over Wabash.